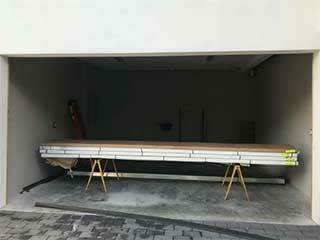 Home Blog Planning A Garage Door Replacement? Even the highest quality and well looked after residential garage doors have a fixed lifespan. If the unit is well-made and receives good care, it can serve its purpose for as many as 30 years and possibly more. Still, the time for replacement will eventually come. Here is some essential advice to help you choose your replacement! The choice of a replacement garage door is an important decision as you will likely be using it for the next two to three decades. Decide on the make and material first. While natural wood is gorgeous, it does require special maintenance and may not be best for rainy climates. Steel is sturdy and will likely need less in the way of care. Today, you could even go for a steel unit with a faux wood overlay to get the best of both worlds! The structure of the door is another important factor you should consider. If you do opt for a steel unit, you have three options - a single layer of steel, a layer of steel with added insulation and two layers of steel with insulating material between them. The latter structure has the highest R-value which means it is the most insulated. In addition to this, you can choose between two types of insulation -rigid polystyrene panels and polyurethane foam. This is just an example of some of the decisions available - it can be overwhelming, so don't hesitate to get in touch if you feel you need consultation regarding the most suitable choice for you. When it comes to selecting hardware parts, the primary condition is usually that they are made from galvanized steel. This type of steel has zinc coating which makes it resistant to rust and corrosion. These components and especially the hinges and tracks should be as thick and solid as possible to lower the risk of significant bending. Whether to get a new opener or not depends on several factors. The most important one is the weight of your new door. If it is considerably heavier than the old one, you may want to consider a more powerful opener with a greater horsepower capacity. The other factor to take into account is the condition of your existing device. If it is old and/or outdated, replacing it may be the more cost-efficient option. It is ultimately up to you to decide on the type, features, and specifications of the new device but we are here to guide you and help every step of the way!